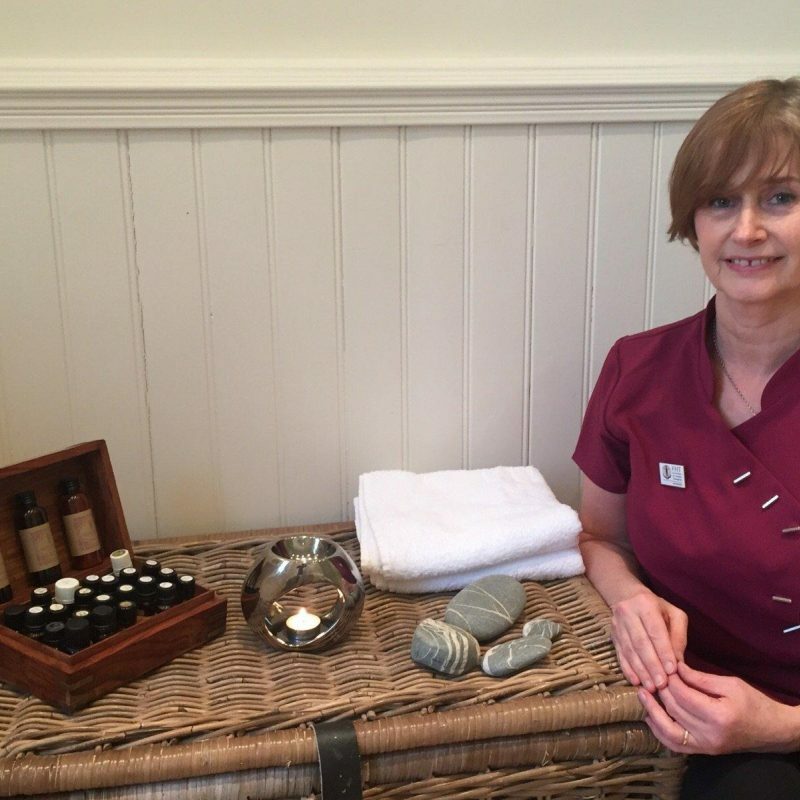 Valerie completed her VCTC training in Aromatherapy and Reflexology between 2002 and 2004. She has worked with carers in South Belfast and treating private clients in the therapy room at Maitri Studio. Valerie is a member of the Federation of Holistic Therapists and is insured through them. She has subsequently trained in Indian Head Massage as well. Essential oils are pure plant extracts extracted from flowers, leaves, bark, roots and berries. Our sense of smell is one of our most powerful but under-used senses. Research has revealed that we respond to smell in the limbic brain that also deals with emotion and memory. As a result certain smells can trigger emotional and physical reactions, for example promoting relaxation. Aromatherapy massage is the art of using the oils to relieve stress, stress-related illnesses and to help achieve a feeling of total wellbeing for mind, body and spirit. After a consultation, to tailor the treatment to your individual needs and to ensure there are no contraindications, carefully selected essential oils are blended especially for you. These oils are mixed with a carrier oil before being applied to the skin. Post treatment advice also given. Reflexology is an ancient therapeutic technique. The principle underlying reflexology is simply that the feet mirror the human body so gentle pressure applied to appropriate points on the foot will have a beneficial effect on the corresponding part of the body. A reflexology treatment is deeply relaxing. Consultation and aftercare comprise part of the treatment. This is an effective treatment that has evolved from traditional techniques practised in India. The treatment involves massage and o the upper back, shoulders, upper arms, neck, face and scalp. The client remains in an upright position. The treatment offers relaxation, improved sleep and improved circulation. For further information on treatments or to book and appointment please contact Valerie on 07719 799180 email valeriemccannyoga@hotmail.com. Valerie is also a yoga teacher here at Maitri - visit her yoga page here.